[Drucker School] “The Creative Economy” early bird pricing ends next week! Don’t miss your chance to save! Early bird pricing ends October 1st! Bullseye with Jesse Thorn is a weekly NPR program (Saturdays at 3pm on 89.3 KPCC) about the good stuff in popular culture. Each week Jesse hosts fun and in-depth conversations with a wide spectrum of personalities from the world of arts & entertainment alongside regular contributions from the likes of Pitchfork, the A.V. Club, the L.A. Times, and The New Yorker. 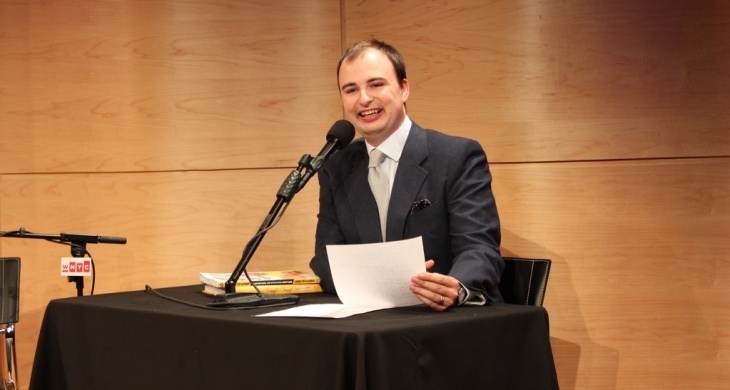 Listeners are treated to an in-depth glimpse at new books, movies, comedy, music, and more. 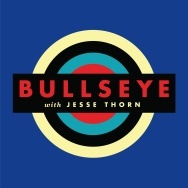 Bullseye was the first public radio program west of the Mississippi to podcast and has received plaudits from Time Magazine, Salon.com, and iTunes. On Friday, October 25th at 8pm, join Jesse, Bill Hader (eight-season cast member of Saturday Night Live), and others at KPCC’s Crawford Family Forum for a live taping of Bullseye and their unique brand of irreverent original comedy and rollicking, informative interviews with a few of the more revolutionary creative people of our day. Tickets for this event are $10 and can be purchased by clicking the “Buy Tickets” button above. *Alcoholic beverages may be served at this event. Please bring a valid photo I.D. to check-in if you wish to partake. “60 Minutes” confirmed for NPID Long Beach! WHO: Long Beach Vice Mayor Robert Garcia, California State University Chancellor Timothy P. White, actor/environmentalist Ed Begley, Jr., Plug In America co-founder Paul Scott, Adopt a Charger executive director Kitty Adams, Assemblymember Bonnie Lowenthal, alternative-fuel vehicle advocate Chelsea Sexton. WHERE: South Parking Lot, California State University, Office of the Chancellor, 401 Golden Shore St., Long Beach, CA, 90802. COST: Event admission and all activities are free. FREE PARKING FOR ALL VISITORS. We are up to 95 cities! Our event in Long Beach is shaping up to be the biggest, and just today, “60 Minutes” confirmed they will be shooting at our event starting at 9:00! The press conference is scheduled for 10:00, so if you can make it by 9:00, that would be best. We want to have a very big crowd for “60 Minutes” and for the press conference. If you can’t make it early, please still come and bring all your friends who haven’t yet experienced the power of these great cars. We’ll have examples of virtually all the EVs available. Several Model S Teslas will be giving test drives/rides. You don’t want to miss that. Ever wanted to ride a Zero or Brammo motorcycle in a safe environment? I’m loving my Zero! We have a DJ, a raffle with some pretty nice prizes food trucks and more. The LADWP has another free fast charger in the parking lot of 1230 3rd St. just a block and a half west of the 110 freeway. No fob required, just plug it in and push start. You can find lots of Level 2 all over town. See recargo.com <https://recargo.com> . WHAT: To celebrate National Plug In Day, the public will test drive an array of zero- and low-emission electric vehicles (EV) along a portion of the famous route taken by Formula One drivers in the Long Beach Grand Prix. The Sept. 28 event, sponsored by smart USA, is projected to draw at least 500 attendees to the California State University Chancellor’s Office area in Long Beach. It will be one of some 90 National Plug In Day events, expected to draw thousands coast-to-coast, highlighting the clean-air benefits, cost-savings and thrill of driving EVs. The event will feature the dedication of three 240-volt EV charging stations. The new Level 2 chargers were donated by Google with installation and free electricity sponsored by smart USA. The chargers will be made available for public use at no cost. The City of Long Beach will issue a proclamation naming Sept. 28 National Plug In Day in honor of the late Doug Korthof, an EV advocate, Cal State Long Beach alumnus and faculty member. Media and the public may test drive these all-electric or plug-in hybrid electric cars along a scenic 2.5-mile loop around the bay at Golden Shore: Tesla Model S, the all-new smart Electric Drive, Nissan LEAF, Chevy Volt, Bartel’s Brammo, Fiat 500e, and Honda Accord Plug In. The selection of the CSU Chancellor’s Office as host site fits within the university system’s ongoing efforts toward sustainability <https://www.calstate.edu/cpdc/sustainability/> . This includes installation of solar power on 13 campuses and 39 buildings with Leadership in Energy and Environmental Design <https://www.usgbc.org/leed> certification. Visit the National Plug In Day website <https://pluginday.org/> for additional city-by-city locations and details. SCHEDULE/VISUALS: Saturday, Sept. 28, 2013, 9:30 a.m. to 2 p.m.
SPONSORS: Plug In America, the Sierra Club and the Electric Auto Association are national organizers of National Plug In Day, teaming with local groups across the country to stage events. Plug In America and Adopt a Charger organized the Long Beach event, whose lead sponsor is smart USA. Other sponsors: California State University, Office of the Chancellor; Nissan LEAF; Bartel’s Brammo; Zero Motorcycles; Toyota; Los Angeles Dept. of Water and Power; American Honda; Verengo Solar; Fiat; Aquarium of the Pacific; Clipper Creek; GM/Chevy Dealership; Pedego; The Queen Mary. About Plug In America: Plug In America is leading the nation’s plug-in vehicle movement. The nonprofit organization works to accelerate the shift to plug-in vehicles powered by clean, affordable, domestic electricity to reduce our nation’s dependence on petroleum and improve the global environment. We drive electric. You can, too. www.pluginamerica.org <https://www.pluginamerica.org/> . About the Sierra Club: The Sierra Club is the nation’s oldest and largest grassroots environmental organization with 1.4 million members and supporters and chapters in all 50 states. The Sierra Club’s national electric vehicles campaign advocates for a switch to EVs as one important way to reduce emissions and cut our addiction to oil. www.sierraclub.org/electric-vehicles <https://www.sierraclub.org/electric-vehicles> . About the Electric Auto Association: The Electric Auto Association, formed in 1967, is a nonprofit educational organization with 75 chapters worldwide that promotes the advancement and widespread adoption of electric vehicles. www.electricauto.org <https://www.electricauto.org/> . Designed to make you think differently about the future of motorsports, the Nissan LEAF NISMO RC (Racing Competition) is a purpose-built, all-electric race car powered by 48 compact Lithium-ion battery modules. One look at this vehicle and you can see much of LEAF’s unique character lines from its long, up-sloping headlights to its signature LED taillights. Combining the talents of NISMO, Nissan’s world renowned motorsports group, and engineers behind some of the company’s Super GT and FIA GT1 race teams, the Nissan LEAF NISMO RC serves as a rolling laboratory for the accelerated development of EV and aerodynamic systems, as well as a platform for the development of new green motorsports series. It doesn’t have an engine, uses no gasoline, goes 0-100 km/h (62 mph) in 6.85 seconds and has a top speed of 93 miles per hour. This Nissan LEAF is a 100% electric, zero emissions, track-ready race car with a running time of around 20 minutes under racing conditions. Following the initial glow that emerged from the hot Big Bang, the Universe entered a period astronomers call the `Dark Ages’, when clouds of hydrogen assembled under gravity and eventually collapsed to ignite as the first stellar systems. Can powerful telescopes look back and witness such a remarkable event? Deep imaging with the Hubble and Spitzer Space Telescopes, coupled with ambitious surveys undertaken with the Keck telescopes is providing our first exciting glimpse of this early period of cosmic history. Miniaturization of devices has fueled the rapid evolution of microelectronic systems over the past decades. More recently, silicon has also emerged as an opto-electronic and electro-mechanical material. The result of technological advances made over the last decades, NASA’s newest astrophysics mission, NuSTAR, is peering far deeper into the high-energy X-ray sky than ever before possible. NuSTAR is exploring the densest, hottest regions in the Universe, helping us to understand how black holes grow, to study the bizarre physics that happens near the strongest known cosmic magnets, and to observe the radioactive glow of debris left over from exploded stars. How do we study corruption? Follow the money. Penetrate the networks. Model the system. In this talk we examine a large World Bank project right down to the village level. We learn how an African cartel is born, nurtured, and propagated. Through this case study we can see the process by which individuals, institutions, and ultimately entire states, get tipped into the vortex of systemic corruption. What role does aid money play in this process, and what does forensic economics have to offer in both the diagnosis and the cure? Most of the modern day’s technological marvels have come from putting apparently unrelated things together and creating something more than the sum of the parts. Silicon chips have come a long way from the days of first transistors. Today we can place billions of transistors operating at extremely high frequencies on a single chip. This has created a plethora of new opportunities in many areas that silicon chips could not address. In this talk, we will discuss a holistic approach to integrated circuits leading to yet further proliferation of such technologies into our daily lives. Ever wondered where metallic materials get their unique properties from? Why are some materials strong and others fail quickly? Why can we deform some easily while others are hard to change? Why do some damp vibrations and others seem to swing forever? To understand why materials behave the way they do, we need to zoom deep into the lower length scales, deep into what is invisible to the naked eye. Our journey into the micro- and nano-scales of materials reveals billions of tiny defects which in turn are made up of billions of atoms. From mountain valleys to river deltas, flowing water and grains of sand conspire to create Earth’s dramatic landscapes. Earth is not alone; megafloods have cut vast canyons into the surface of Mars, and rivers of liquid methane actively carve the icy surface of Titan. This talk will explore new insights into the mechanics of landscape evolution with implications for debris-flow hazards in the San Gabriel Mountains, land-use sustainability on the Mississippi Delta, and water on Mars. Microbes dominate as the most abundant life form on Earth, occupying almost every terrestrial, aquatic and biological ecosystem on our planet. Humans are no exception. Throughout our lives, we provide residence to symbiotic bacteria, known as the microbiome, on virtually all environmentally exposed surfaces. The vast majority of these microbes are harbored in the gastrointestinal tract where bacteria can outnumber human cells by 10-fold (thus, we are all 90% bacteria on a cellular level!). The origins of many modern drugs are small, organic molecules (known as “natural products”), compounds that are isolated from bacteria, fungi, plants and other natural sources. Although some natural products are isolated and used without modification – think penicillin! – others require careful reengineering in order to be suitable medicines. Key to this endeavor is organic chemistry, and understanding how to build molecules atom by atom with precise positional and spatial control. The KPCC and Drucker program season has started. This is always a welcomed program. Twitter, Facebook, Instagram, Tumblr, Pinterest, LinkedIn, Vine, YouTube… these are just a few of the Internet platforms changing the way businesses communicate with customers. However, few operations have the expertise to develop and carry out smart social media marketing strategies. The challenge to craft the right approach can be daunting, especially to small businesses, leading them to take on more than they can handle or to give up altogether. Are you facing this dilemma? Sasha Strauss, founder and managing director of Innovation Protocol, is at the forefront of brand development and advises organizations how to incorporate strategic use of social media in their business plans. Join us as he shares his ideas with Lawrence Crosby, dean of the Drucker School of Management, at our Crawford Family Forum. Bring your questions and get some savvy advice from the experts. Delete your personal profile info and you can go to any site. Potentially buying another security program is being considered. With thousands of iPads being issued, and close to $1 billion being spent on the initiative. 650,000 students in the LA Unified School District. Roosevelt students have had they iPad for a week and they have already hacked in, by deleting their profile. With the iPads you are not supposed to be able to go to facebook, youtube, pandora, etc..
ClickAppy is an online application builder that allows anyone to easily create Facebook applications, promotions, about us pages and much more with step-by-step simplicity. We don’t know of any other quality Facebook application builder that you can use for only $2.99 per month and with an as simple and easy to use interface as ClickAppy. With PicMyCase, any picture that you upload can be covering your phone before you know it. Buy one custom iPhone case with a picture of each member of your family or your favorite sports teams and take advantage of prices that decrease as you purchase more cases! This is a good way to add your contact info to your phone in the event it is lost. It is always a good ideal to include some sort of contact info on your phone in the event it is lost. Some recommend adding a number to your home screen, but it is just as easy to place a sticker or card on the back of the case. 20% of Yelp Reviews are Fake! Of the millions of reviews on Yelp and other review sites, today we are reading headlines that many, in fact a good portion of these supposedly authentic reviews are FAKE. And that people all over the world are being paid to write these fake reviews. Anywhere from $1 to $10 per review. Yes, someone in India could be writing a review of a restaurant in Los Angeles, CA. The number of fraudulent reviews on Yelp rose from 5% in 2006 to 20% in 2013, according to “Fake It Till You Make It: Reputation, Competition, and Yelp Review Fraud,” a report by Luca that was co-written by Georgios Zervas, an assistant professor of marketing at Boston University. Analyzing an additional 316,415 Yelp reviews of Boston restaurants, 16% were filtered and identified as fake, Luca says. I use Yelp, but with caution, there are people trying to game the system both to hurt business and lift their own businesses. And remember that Yelp has algorithms in place to “protect” business from fake reviews. Paul McCartney Live Stream from Jimmy Kimmel Live on Myspace. Exclusively on Myspace: Paul McCartney performs a live set on Hollywood Blvd. following Jimmy Kimmel Live at 12:35AM EST. live or stream rebroadcasts after each show. Exclusively on Myspace: Justin Timberlake performs a live set on Hollywood Blvd. following Jimmy Kimmel Live at 12:35AM EST. 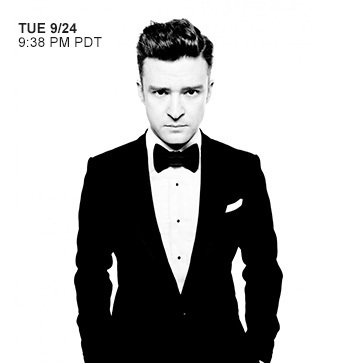 Justin Timberlake Live Stream from Jimmy Kimmel Live on Myspace. The 24th Annual Photo Day at the Los Angeles Zoo on Sunday, November 3, 2013, presented by the Greater Los Angeles Zoo Association (GLAZA) and Paul’s Photo, features one-of-a-kind photo opportunities for film and digital photographers of all levels of expertise. Among activities for participants in the event, from 7:30 am to 4 pm, are hands-on workshops with instruction for novices on the basics of wildlife and nature photography as well as opportunities for accomplished shutterbugs to explore new horizons while focusing on the art and science of outdoor photography. Also included in the admission price are use of loan equipment from major manufacturers, one-on-one time with manufacturers’ representatives, catered lunch, guest speakers, t-shirt, early admission to the Zoo, animal close-ups for photography, and a photo contest with prizes. Experts from Paul’s Photos, based in Torrance, and representatives from the top brands in photography provide participants with a full day of photography and education. The deadline to register is October 15. Photo Day is among many events presented by the private, non-profit Greater Los Angeles Zoo Association, founded in 1963. For five decades, GLAZA has funded plant and animal exhibits, species conservation, capital projects, and education and community outreach programs at the Los Angeles Zoo and Botanical Gardens. GLAZA also builds and invests endowment funds and operates five essential departments on behalf of the L.A. Zoo: development, publications, membership, volunteers, and oversight of the food and retail concessions. There are currently 73,000 GLAZA-member households representing more than 300,000 adults and children, the largest membership base of any cultural organization in Los Angeles. GLAZA additionally boasts a volunteer corps of more than 800 individuals. L.A. Zoo Photo Day admission prices are $125 per photographer and $60 per guest until October 1, after which the prices are $175.00 per photographer, and $70.00 per guest. Registration closes on October 15. Catered lunch and early admission to the Zoo is included for guests. The Zoo remains open to the public with regular Zoo admission available for non-Photo Day participants. (134) and Golden State (5) freeways. 5333 Zoo Drive, Los Angeles, CA 90027. Free parking is available. For additional information, contact GLAZA ([email protected], or 323/644-4703) or Mark at Paul’s Photo ([email protected]; 310-375-7014; www.paulsphoto.com). Registration form is available at www.LAZoo.org. Keynote speakers include: Bill Gross, CEO of Idealab; George Whitesides, President of Virgin Galactic; Patricia Moore, Author, Gerontologist, and Industrial Designer; Mike Jones, former CEO of MySpace and founder of Science Technology Studio; Keith Ferrazzi, Author & Founder of Ferrazzi Greenlight; John Mattison, CMIO of Kaiser Permanente; and Dr. Andy Walshe, High Performance Director of Red Bull. In addition to the speaker sessions the summit will include a FAST PITCH Completion where six to eight startup companies will be given three to five minutes to pitch a product. Event organizers Pasadena Magazine and the Five Star Institute have provided us with a special promo code that will allow IP community members to register for $100. (The regular ticket price is $199) Enter PMISP as the discount code when registering. For more information go to InnovationSummitPasadena.com. and Other Wearable Computing Platforms. We are at the forefront of the Wearable Platform market! The GLAZED Conference will bring today’s industry leaders and the developers of this next wave of technology to discuss how we turn theory into a multi-billion dollar industry. The purpose of the GLAZED Conference is to guide the direction of this newfound and unavoidable opportunity within the Glass and Wearable technology space. Since 1993 the SoCal Tech Group (www.socaltechgroup.com) has been providing forums where entrepreneurs and executives of startup, emerging growth and middle-market companies actively meet with our members, investors, bankers, and other providers of professional services. Join us from 4-6pm for an evening panel featuring the Media Camp LA inaugural class startups followed by a SoCal Tech Group Mixer from 6-7pm on the patio. Panel moderated by Ethan Applen, Executive Director, Technology & Business Strategy at Warner Bros.
Cinecore is a scalable Enterprise SaaS solution for film and television productions that keeps casts and crews on schedule and organized with digital document distribution, digital file storage and location maps through an in-app Google maps interface. Skit! allows users to create stories using content from the Web and their own social networks using simple, finger-swiping technology on the iPad. Gestures give life to the creation, and the user’s voice provides the soundtrack. Kumbuya is social commerce in the context of curated, community generated content focused on consumers’ area of interest. Kumbuya’s platform allows studios the opportunity to engage directly with fans through social media. Yield management for movie tickets. Enables theaters to set the price for unsold inventory. Provides customers with discounts of up to 60% on movie ticket and concessions. Reelhouse is an online video platform that provides filmmakers control to self-distribute content directly to their viewers. Reelhouse’s content delivery platform drives engagement and transaction through the creation of immersive consumer experiences that combines feature content, interviews, photo galleries, videos, merchandise, interactive experiences and more. Apple Inc. said Monday morning that it sold 9 million units of its new iPhone 5S and 5C models on the first weekend. Apple stock is up approx 4% as a result. A section of Hollywood Blvd is closed through Wednesday as two major concerts are taking place. 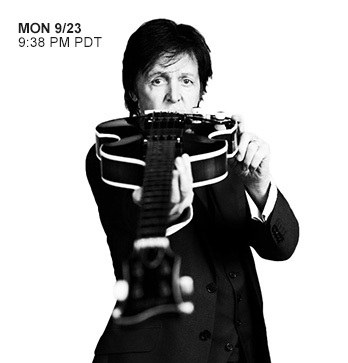 Paul McCartney is schedule to perform on Monday. Justin Timberlake is scheduled to perform on Tuesday. Justin Timberlake will be on the Jimmy Kimmel show to discuss his new RCA album “The 20/20/ Experience,” and his new movie “Runner Runner”. Both performances will be featured on the Jimmy Kimmel show which is taped on Hollywood Blvd. FailCon has traveled around the world, visiting over a dozen countries since its inception in 2009. Now we’re back in our home city of San Francisco to teach new lessons, focus on the best stories of the year, and continue helping founders build the strongest product they can, through FAILURE! You aren’t a real entrepreneur until you’ve had to deal with failure, and recovering from it – financially, emotionally, and practically – can be challenging. Hear how major players in the industry have dealt with startup troubles while keeping a positive, tenacious, and energetic attitude through it all. We’ve been featured on NPR and in Forbes Magazine, Entrepreneur Magazine, the SF Chronicle, Wired Magazine, Convene Magazine, TechCrunch, and more! Join us on October 21st for what many call ‘THE best startup event in the Valley’! PizzaRev: Custom artisan pizza in under 3 minutes, fresh ingredients, unlimited toppings, under $8! PizzaRev is a revolutionary dining experience. Only you know how to craft the perfect pizza, so we place our staff right on the front-line, ready to craft your pizza however YOU like it. We also know that you like your pizza fast without sacrificing quality, so we installed a three-ton fire-deck oven to bake your pizza in under three minutes. This is fast-food without compromises. This is PizzaRev! Starting with PizzaRev’s original homemade dough, guests are empowered to “Craft Your Own,” customizing a personal-sized 11” pizza by choosing favorites from a tempting menu of flavorful sauces, delicious cheeses, and over 30+ fresh toppings, all on display and assembled before your eyes in any combination for under 8 bucks. “Your idea of the perfect pizza is unique to you, so we let our guests choose whatever they’d like to add to their pizzas for one affordable price,” said Nicholas Eckerman, PizzaRev’s founder. Once crafted, your pizza is placed in PizzaRev’s state of the art open-flame stone-hearth oven, where temperatures can exceed 900 degrees, and is served piping hot in under 3 minutes. With an emphasis on quality and fast & friendly customer service, PizzaRev has earned a reputation for serving better pizza from flour to fire! Open 7 days a week 11am – 10pm, open late on Fri/Sat until 11pm.